Maintaining Compliance with EU Rules, Irish Regulations and Provisions of the Working Time Directive. 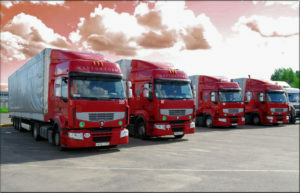 The Transportation and Storage Sector covers a range of work activities such as land transport, storage and warehousing and postal and courier activities. Official figures indicate that upwards of 93,000 people are employed in this sector. According to the HSA the fatal accident rate for this sector is the third highest (after construction and agriculture) with an average rate of 5.45 per 100,000 employed. Vehicles at work continue to be a major cause of fatal and major injuries. Estimates suggest that up to one-third of all road traffic accidents involve someone who is at work at the time. 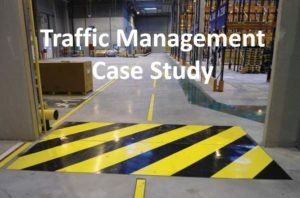 In addition to road traffic safety other key issues the industry faces include manual handling of freight, falls, securing loads and onsite traffic management. 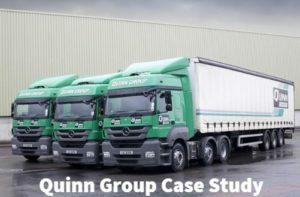 Owning or operating a commercial vehicle or fleet of them carries with it important responsibilities around driver hours, tachograph management, vehicle testing, maintenance and road worthiness. Employers must provide and maintain safety systems of work in connection with plant, vehicles, equipment, tools, machinery and substances both in the depot and in vehicles. Employers must also have the safety systems in place to check that employees, agency and contract workers or drivers all meet required safety requirements. The Road Safety Authority (RSA) has implemented a risk rating system for heavy commercial vehicle operators (CVORI) and uses this risk rating system as a tool to help decide which operators should be inspected. Operators may be inspected by the RSA either at their premises or drivers might be stopped at the roadside.